Find out what you need to do to find and catch Ditto! Here are some things you need to remember when looking for the elusive Pokemon: Ditto! Which Pokemon Does Ditto Transform Into? Ditto usually transforms itself into a Pidgey or Rattata, which is why it may be harder to find! However, once you catch the Pidgey or Rattata that Ditto transformed into, it will revert back to its original form. When you catch a Ditto that has transformed into a Shiny Pokemon, it does not mean that the Ditto you caught is Shiny! It can only copy which is why it can transform into Shiny Pokemon. 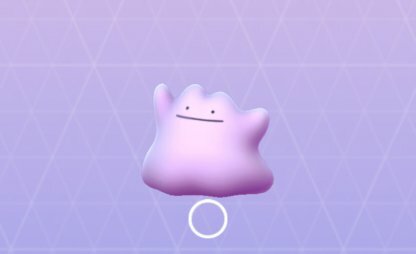 Shiny Ditto are not yet found within the game at the time of writing. Therefore, one cannot catch a Shiny Ditto yet. 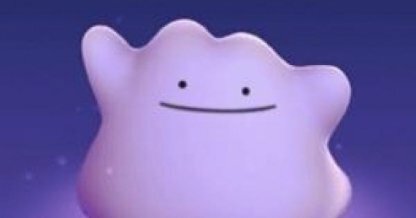 Ditto's capture rate is very low! Therefore if you cannot capture a low CP Pidgey or Rattata with a Poke Ball, it may be a Ditto! Switch to a Great or Ultra Ball to ensure that you capture it! 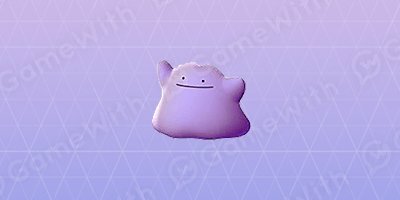 Ditto will transform back to its original form once it's caught! Talk to trainers in the area who just caught a Ditto, and ask them which Pokemon it transformed into. The Pokemon should appear in your immediate area! For a limited time, there was a quest that tasked you to "throw an Excellent Throw once". Completing this will let the Ditto appear for you to catch. Remember that Ditto can only copy your opponent. There are elements that Ditto can copy while there are other elements that it cannot copy. If you decide to withdraw your Ditto, it will retain its transformation once you bring it out again during the same battle! Ditto rearranges its cell structure to transform itself into other shapes. However, if it tries to transform itself into something by relying on its memory, this Pokemon manages to get details wrong.